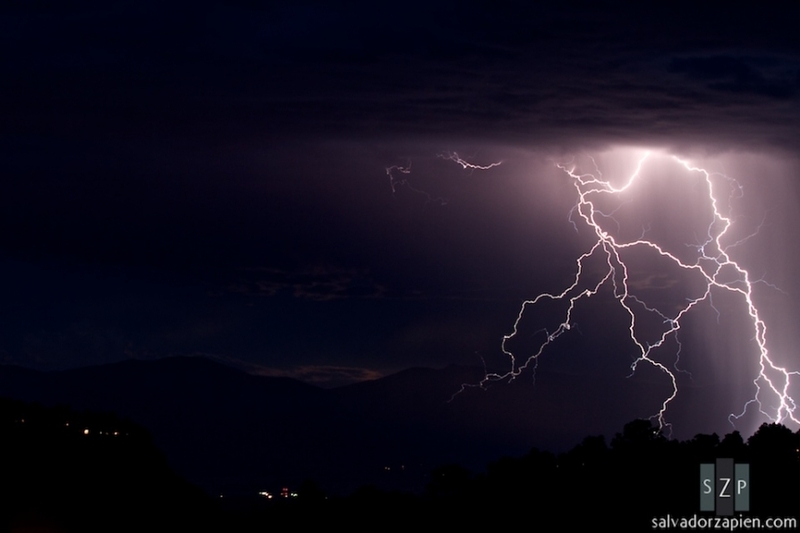 Lightning strikes just beyond North Mesa during a thunderstorm August 2nd, 2012. 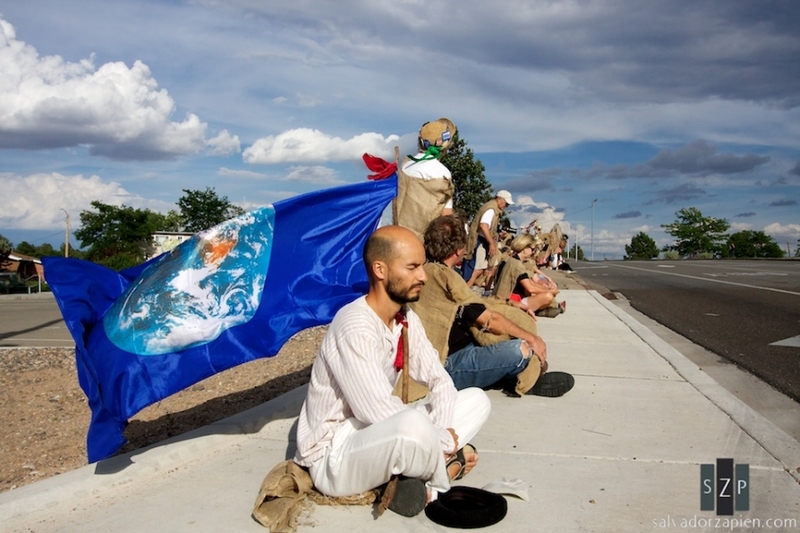 Protestors hold a sit in during an anti-nukes rally in Los Alamos. 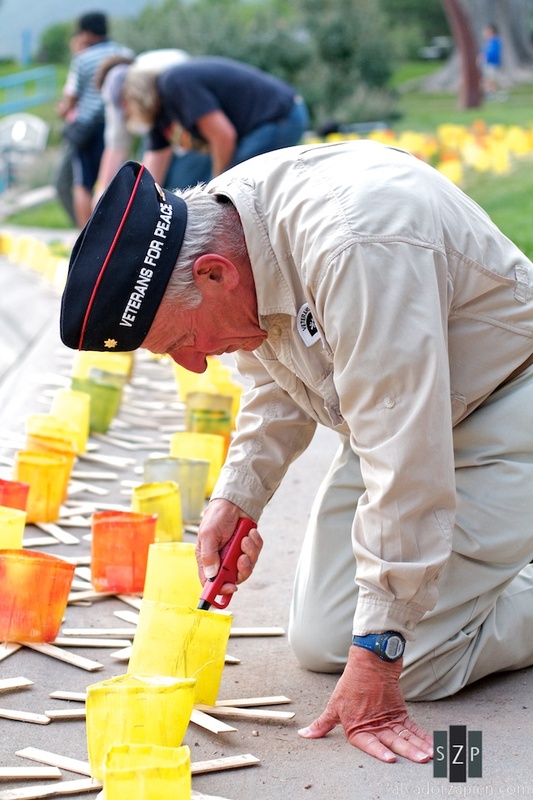 Veteran Ken Mayers lights peace lanterns at an anti-nukes rally in Los Alamos. A young girl devours a turkey leg at Ashley Pond during the Gordons’ Summer Concert Series. Contestant Kirsten Taylor settles onto her bull during the Los Alamos County Rodeo. Bull rider Clay Adams holds on to his bull in front of a packed Brewer Arena at the Los Alamos County Rodeo. Two boys watch the action at the Los Alamos County Rodeo. Carolyn Wonderland entertains a summer crowd as part of the Gordons’ Summer Concert Series. Carolyn Wonderland drummer Rob Hooper sings backup. Cyclists take off from the starting line during the 38th annual Los Alamos Triathlon. Los Alamos High School cheerleaders pump up a crowd at a concert. The cheerleaders introduced the Los Alamos High School Football team. A young boy is mesmerized by Beatles cover band, Yellow Dubmarine. Yellow Dubmarine played Ashley Pond as part of the Gordons’ Summer Concerts series. Yellow Dubmarine guitarist, Jonathan Sloane, closes out the night with a solo. Parents try to locate their child’s hand drawn portrait during Open House Night at Barranca Mesa elementary school. Running back, Arnaldo Ortiz, runs for a gain during the Los Alamos High School Football season opener versus Pojoaque Valley High School. Los Alamos High School Football coach Garett Williams reviews plays during the opening game of the season.